A lot of people may not realize that I am not a huge chocolate fan. Instead, I often crave salty snacks. Growing up, I remember begging to take Pringles Light Crisps in my lunch to school. My obsession continued into college, where I would often have a canister in my car for emergencies. They also were easy to pop into a bag for a hockey road trip back in the day. These days, we are always looking for items that are multigrain and a little more health conscious fun for occasional snacks. 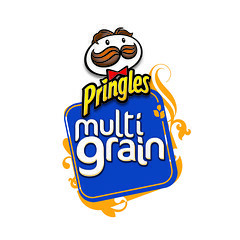 Recently, I was asked by Mom Central to participate in a Blog Tour about Pringles Multigrain and their new campaign. Pringles, America’s favorite stacked potato crisp, introduces consumers to new Pringles Multigrain, a surprisingly tasty twist on multigrain snacks. As the latest addition to the Pringles family, Pringles Multigrain is packed with multigrain flavor and crunch and comes in three mouth-watering varieties: Truly Original, Creamy Ranch and Cheesy Cheddar. As part of the nationwide rollout, Pringles and Celebrity Chef Tyler Florence are working together to make it easy for consumers to also make a difference while trying new Pringles Multigrain with the “U Taste. We Donate” campaign. Enter the UPC code from any can of Pringles Multigrain between March 15 through June 30, 2010 at www.PringlesMultigrain.com and Pringles will donate one dollar (with a total donation of up to $100,000) to Share Our Strength®, the leading organization working to end childhood hunger in America. My family received each of the varieties of the the new Pringles Multigrain crisps to try. It was like a trip down memory road hearing the air release as I popped the top of the canister. The smell of the snacks was enough to get my mouth watering. I am a traditionalist and prefer the Truly Original, but the boys are fans of the Cheesy Cheddar. What really impressed me was they are Kosher. We often have a hard time finding multigrain flavored items that are marked as Kosher, so it was a very nice surprise. When we are looking for a special multigrain snack, we will definitely buy more Pringles for our house. Of course, I also went to the website and entered the UPC codes from my packages of Pringles Multigrain container. The box to enter the UPC code is easy to spot on the first section of the website. Kuddos to Pringles for teaming up for such a great cause. Confession time, do you like Pringles? If you do, have you tried the Multigrain variety and which one would you love to try to help "U Taste. We Donate."? Disclosure: I wrote this review while participating in a blog campaign by Mom Central on behalf of Pringles Multigrain and received a tote bag with samples to facilitate my candid review. Mom Central also sent me a gift card to thank me for taking the time to participate. .-= RobMonroe´s last blog ..Less Wisdom Today than Yesterday =-.